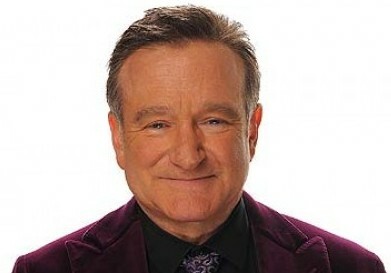 Learn the details of Robin Williams suicide. For the past four decades, legendary actor and comedian Robin Williams entertained millions of people around the world in a wide variety of performances including award-winning movies, stand-up comedy routines and hilarious sitcom characters. Known for his eccentricity, quick wit, and boundless energy, Williams enthralled audiences with his acting versatility over the years. From his stirring performance as a cross-dressing father in Mrs. Doubtfire, to the lovable character of Patch Adams that he created himself, Robin Williams was a truly rare talent. However, sometimes the funniest people in the world are also often the saddest. This seems to be the case for the comedic mastermind as another Hollywood legend falls to suicide. On Monday, August 11, 2014, the entire world came to a standstill as news of Williams’ suicide made its way into the media. The Oscar-winning actor was found dead in his home by local authorities in Tiburon, California at around noon on Monday. The initial opinion on the scene was that the actor had taken his own life via asphyxiation. Subsequent reports from the Marin County Deputy Coroner confirmed those suspicions. Williams used a belt to tie around his neck, before tying the other end onto his closet door frame. The actor then assumed a seated position, pressing his shoulder against the door, strangling himself. The coroner’s report also details ‘superficial’ cuts on Williams’ wrists, suggesting that the actor first tried to commit suicide by slashing his wrists and bleeding to death. A toxicology report is still being conducted, and is expected to be released shortly. Williams was last seen by his wife on the previous night at around 10.30 PM. While the news of his death shocked the world, those who were close to him off-screen knew he suffered from depression. A statement released by Williams’ publicist cited that the actor had been struggling with severe depression for a number of years. In fact, Williams had been spotted visiting a rehabilitation facility in Minnesota as recently as July. Williams frequently spoke about his on-and-off struggles with alcoholism and cocaine addiction, but recently stated that he seemed to have found some semblance of peace in his life. The actor was recently married, moved to a new home, and had even begun participating in a brand new television series, “The Crazy Ones”. Since the news of Robin William’s suicide spread throughout the world, the internet exploded with obituaries and tributes to the actor, with numerous celebrities paying homage both to his talent and his personality. The news of his death has put a spotlight on depression and is helping to create awareness about the seriousness of the illness. It seems odd that an individual that brought smiles and laughter to millions of people around the globe is associated with depression. After his death, his ashes were spread over the San Francisco bay. Speculations have been widespread since the suicide of the actor Robin Williams in August 2014. At the time of his death, it was reported that chronic depression was to blame for the actor killing himself. The coroner of Marin County finally released the official autopsy report with the cause of his death as suicide by hanging and not a drug overdose. But what led the famous, seemingly happy actor to take his own life is the real question. When a beloved actor dies in such an unexpected manner it is rather shocking for fans. At the time of his death, it was reported that the actor hanged himself and that no drug were found in his system. But there was more shocking news to come. All of a sudden there were reports that Robin Williams was suffering from clinical depression and that he took prescription drugs for the same. The actor admitted that he often struggled with drug addiction and alcoholism and even depression but he didn’t die of any illegal drug overdose. His widow made it known then the actor had been battling Parkinson’s disease. This diagnosis was done in November’ 13 but he had been suffering from body tremors since 2011. Was it depression? Or did Robin Williams die of prescription drug overdose? Did his Parkinson’s diagnosis have something to do with the actor hanging himself with a belt in his California home? Lewy Body Dementia is mentioned in the autopsy report as one of the conditions the actor was suffering from. A little known condition, Lewy Body Dementia causes large amounts of protein deposits in the brain, which is quite abnormal. The deposits interfere with normal body functions and causes the patient to experience extreme hallucinations. In addition, the disease can interfere with other brain functions such as memory. Because of the similarity in symptoms, Lewy is very often confused with Parkinson’s disease. The medication used to help treat Parkinson’s may cause severe side effects such as hallucinations. However, if there was a misdiagnosis, the drugs would not have provided any relief and may have led to other problems. The actor’s family believes that the Lewy disease may have caused his death by suicide. But it seems not everyone is content with the new findings. In the statement issued by the Lewy Body Dementia Association there are questions raised about whether Robin Williams truly suffered from Lewy. The coroner’s report clearly states that the actor suffered from depression and showed symptoms of anxiety and may have suffered from hallucinations as well. It is not clear whether these symptoms were caused by Parkinson’s or Lewy or possibly by another condition. Whatever it was that the actor suffered from; the truth is he killed himself. Whatever led the actor to take such a drastic step may not ever be completely understood. However, foul play has been definitively ruled out, which should put an end to at least some of the speculation. More questions arose since the coroner released the report.